Publisher: Harper ISBN 13: 9780007879694. 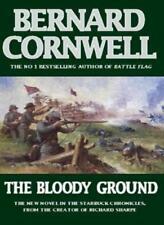 Author: Bernard Cornwell ISBN 10: 0007879695. Title: Sharpe's Havoc Item Condition: used item in a very good condition. Binding: Mass Market Paperback Language: english. The Last Kingdom by Bernard Cornwell Paperback Book Free Shipping! Against their lives Bernard Cornwell has woven a story of divided loyalties, reluctant love and desperate heroism. In Uhtred, he has created one of his most interesting and heroic characters and in The Last Kingdom one of his most powerful and passionate novels. 5 out of 5 stars - The Last Kingdom by Bernard Cornwell Paperback Book Free Shipping! 2 product ratings2 product ratings - The Last Kingdom by Bernard Cornwell Paperback Book Free Shipping! Trending at C $8.66eBay determines this price through a machine-learned model of the product's sale prices within the last 90 days. Title: The Bloody Ground (The Starbuck Chronicles) Item Condition: used item in a very good condition. 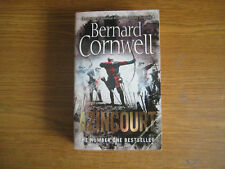 Author: Bernard Cornwell ISBN 10: 0006496660. Will be clean, not soiled or stained. Publisher: HarperCollins ISBN 13: 9780002237192. 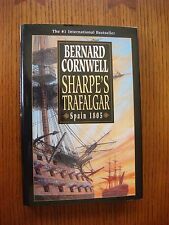 Author: Bernard Cornwell ISBN 10: 0002237199. Title: Rebel Item Condition: used item in a very good condition. Warlord Trilogy by Bernard Cornwell Compact Disc Book Free Shipping! Warlord Trilogy by Bernard Cornwell. This collection contains `Excalibur', `WinterKing' and `Enemy of God'. Author Bernard Cornwell. Title Warlord Trilogy. Format Compact Disc. Edition Abridged edition. It is a hard winter. He has lost command to a man who could buy the promotion Sharpe covets. Soldier, hero, rogue - Sharpe is the man you always want on your side. Born in poverty, he joined the army to escape jail and climbed the ranks by sheer brutal courage. HereBernard Cornwell resurrects the legend of the battle and the “band of brothers”who fought it on October 25, 1415. An epic of redemption, Agincourt follows acommoner, a king, and a nation's entire army on an improbable mission to testthe will of God and reclaim what is rightfully theirs. In any event, the English are once more back in France, trying to protect their shrinking possessions from the French, and Hook is involved in all kinds of skullduggery and mayhem, which eventually culminate in the Battle of Agincourt, where a small British force consisting mainly of foot soldiers and archers slaughters a much larger mounted French force. Sharpe's Trafalgar. by Bernard Cornwell. (2001, Hardcover). Book is in very good condition. Publisher: HarperCollins Publishers ISBN 13: 9780007331758. Author: Bernard Cornwell ISBN 10: 0007331754. Title: The Fort Item Condition: used item in a very good condition. Will be clean, not soiled or stained. Title : Redcoat. Author : Bernard Cornwell. We use the traditional book grading system of (from best to worst): As New, Fine, Very Good, Good, Fair, Poor. Edition : First. If anything, we tend to grade lower than we should. War Of The Wolf (The Last Kingdom Series, Book 11) By Cornwell, Bernard^F. Condition is Like New. Shipped with USPS Media Mail. Heretic by Bernard Cornwell (English) Paperback Book Free Shipping! Heretic by Bernard Cornwell. Title Heretic. Bernard Cornwell was born in London, raised in Essex and. Author Bernard Cornwell. It is 1347. The Hundred Years War has been suspended. novel instead and has been writing ever since. 5 out of 5 stars - Heretic by Bernard Cornwell (English) Paperback Book Free Shipping! 1 product rating1 product ratings - Heretic by Bernard Cornwell (English) Paperback Book Free Shipping! Author: Bernard Cornwell ISBN 10: 0007331746. Title: Fort Item Condition: used item in a very good condition. Sharpe's Trafalgar. Bernard Cornwell -. Scoundrel by Bernard Cornwell (English) Paperback Book Free Shipping! Scoundrel by Bernard Cornwell. Title Scoundrel. Author Bernard Cornwell. Format Paperback. Health & Beauty. Author Biography. Gallows Thief by Bernard Cornwell (English) Paperback Book Free Shipping! Gallows Thief by Bernard Cornwell. Title Gallows Thief. Author Bernard Cornwell. But one could petition the King and an investigation might ensue. The man in the dark cell in Newgate Prison was due to hang in a week. 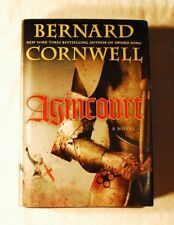 Harlequin by Bernard Cornwell (English) Paperback Book Free Shipping! Harlequin by Bernard Cornwell. Bernard Cornwell was born in London, raised in Essex and. Author Bernard Cornwell. Title Harlequin. novel instead and has been writing ever since. He and Judy. Thomas of Hookton is one of these archers. Wildtrack by Bernard Cornwell (English) Paperback Book Free Shipping! Author Bernard Cornwell. Format Paperback. Only his boat - Sycorax - and his dream of sailing her away from his troubles is keeping him alive. But Sycorax is as crippled as Nick. Author Biography. Title: Xsharpes Fortress Bp Item Condition: used item in a very good condition. Author: Bernard Cornwell ISBN 10: 000787071X. The small British force is trapped by a French army, and their only hope lies with the outnumbered redcoats outside refusing to admit defeat. Bernard Cornwell was born in London, raised in Essex, and now lives mainly in the USA with his wife. 1356 by Bernard Cornwell (English) Paperback Book Free Shipping! 1356 by Bernard Cornwell. Bernard Cornwell was born in London, raised in Essex, and now lives mainly in the USA with his wife. In addition to the hugely successful Sharpe novels, Bernard Cornwell is the author of the Starbuck Chronicles, the Warlord trilogy, the Grail Quest series, the Alfred series and standalone battle books Azincourt and The Fort. Sea Lord by Bernard Cornwell (English) Paperback Book Free Shipping! Sea Lord by Bernard Cornwell. Author Bernard Cornwell. Title Sea Lord. But now he must turn his sailing cutter, the Sunflower, around and sail to Devon, where his mother lies dying. Format Paperback. Author: Bernard Cornwell ISBN 10: 0007773994. Title: Sharpe's Triumph (Sharpe, #2) Item Condition: used item in a very good condition. Excalibur (The Arthur Books #3) by Cornwell, Bernard A readable copy. All pages are intact, and the cover is intact. Pages can include considerable notes-in pen or highlighter-but the notes cannot obscure the text. At ThriftBooks, our motto is: Read More, Spend Less. Title: Xsharpes Sword Book People Item Condition: used item in a very good condition. 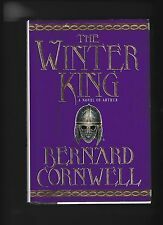 Author: Bernard Cornwell ISBN 10: 0007660065. Edition: paperback / softback List Price: -. Binding: Paperback Language: english. Fort by Bernard Cornwell (English) Paperback Book Free Shipping! Bernard Cornwell was born in London, raised in Essex, and now lives mainly in the USA with his wife. 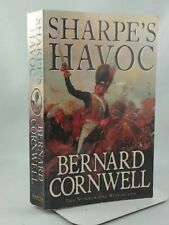 In addition to the hugely successful Sharpe novels, Bernard Cornwell is the author of the Starbuck Chronicles, the Warlord trilogy, the Grail Quest series, the Alfred series and Azincourt. Vagabond by Bernard Cornwell (English) Paperback Book Free Shipping! Vagabond by Bernard Cornwell. Bernard Cornwell was born in London, raised in Essex and. Author Bernard Cornwell. Title Vagabond. novel instead and has been writing ever since. He and Judy. Format Paperback. 4 out of 5 stars - Vagabond by Bernard Cornwell (English) Paperback Book Free Shipping! 1 product rating1 product ratings - Vagabond by Bernard Cornwell (English) Paperback Book Free Shipping! Author: Bernard Cornwell ISBN 10: 0140232478. Title: Enemy of God (The Arthur Books #2) Item Condition: used item in a very good condition. Books will be free of page markings. Will be clean, not soiled or stained. 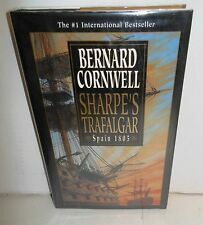 Title: Xsharpes Trafalgar Rsb Item Condition: used item in a very good condition.